The world's first 4-way stretch canvas ballet shoe! The unique streamlined design combined with the ground breaking Ultimate Stretch canvas contours to the foot providing comfort and support while allowing for greater definition of the arch and point of the foot. Features include elasticized binding and a split-sole suede outsole. This is the 3rd pair of these shoes I'm buying for my daughter. The only thing is that you do have to sew the straps on yourself, and they don't hold up for longer than a semester class (for my taste), but we keep going back to these because no other shoes have been as comfortable for her feet. We tried leather and other canvas shoes that gave her blisters. These definitely don't do that. My daughter is in her 3rd year of ballet, these are her favorite shoes. We went to the dance store to try them all on, and now this is all I buy for her. Runs true to size. Not only are these very durable, the straps are already sewn in. Great for us Mom's who don't sew. One reviewer says "yes" another "no"
Yes, this shoe does have the elastic pre-sewn. It is attached on both ends to create a secure "X" across the arch of the foot. What adult size comes after the child size 1.5? We have the same shoe in an adult size. The adult sizing begins with a 2. Please refer to the sizing guidelines and suggestions for the best fit. 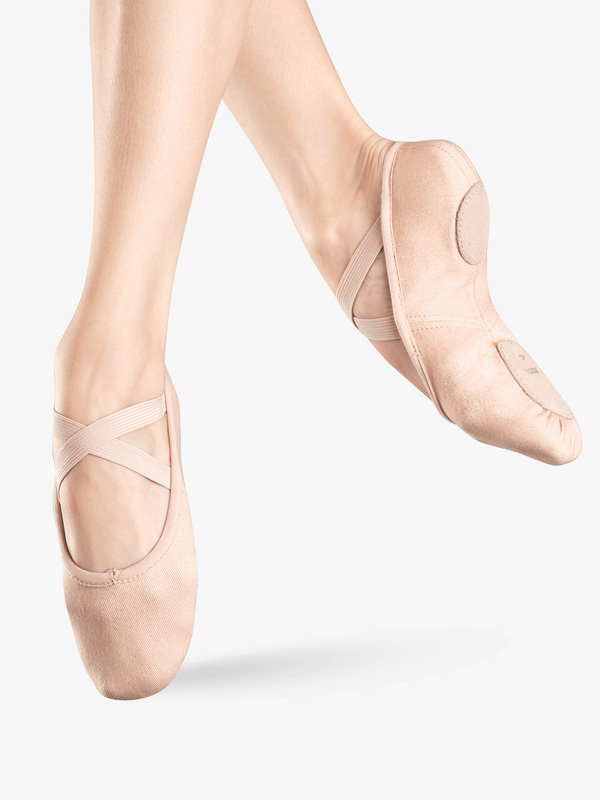 sizing chart for this stretch ballet shoe please! ?